Getting out into nature gives us the space to see things differently. We open ourselves to new possibilities and start to breathe more easily. Walking helps us align our actions with our intentions. It reminds us that while we cannot control everything, we can take the next right step. For companies, we organise guided walks where we think with you. We offer one-to-one walks as well as walking team meetings and brainstorming sessions. Group dynamics shift once we take your discussions out of the meeting room and into nature. A buitendenker* walk is an excellent way to boost creativity, generate new ideas, strengthen relationships and encourage buy-in across a team. Imagine planning a marketing campaign, business development strategy or sustainability initiative outside in nature. Or taking the top candidates for an important hiring decision on walks. We guide and facilitate the walks and provide as much or as little input as you need. Before we take you out on a walk, we get clear on the reason for the walk. Maybe the goal is for team building and wellbeing. Or you want to make a decision on a particular issue. Or brainstorm ideas around a challenge. We take the goal with us on the walk and facilitate the discussions so that when we finish, you are a step closer to the goal. Our guides bring decades of experience from business, education and working the land. We walk in English, French and Dutch. To book a company walk, contact kathryn@buitendenker.be. *buitendenker means 'outside thinker' in Dutch. Countless studies have shown the benefits of walking on our productivity and our wellbeing. Walking is effective in burnout prevention and a gentle way to heal our bodies. On a buitendenker walk, we also provide a creative sounding board for your ideas. We offer private walks for adults, young people and children. Having someone to talk to while walking in nature offers a restorative break from the everyday and helps you get clear on how to move forward. 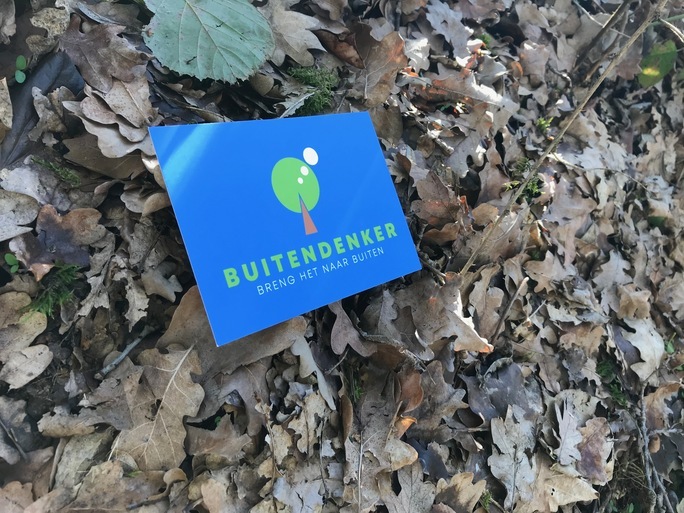 Situations like finding the right career path, handling challenging relationships and finding the courage to make a change or start a new business can all be helped by a buitendenker walk. Or maybe you just like to walk but don't want to go on your own. For children, Wim offers his experience as a former primary school teacher and father of four. We are not therapists. We believe in nature's ability to support us, even through the toughest times. We create and hold the space for honest and open conversations and we offer you our experience from lives well-lived. We walk in English, French and Dutch. To book a private walk, contact kathryn@buitendenker.be. For group walks in English and Dutch and the expat programme in English, see the 'Wandelingen' page. If you would like to receive our newsletter, just enter your email in the box at the bottom off the page. A creative and strategic thinker, Kathryn Sheridan is an entrepreneur with clients on almost every continent. She knows first-hand the power of creating space in nature to allow real change to happen. Kathryn has been with buitendenker since the start and contributes decades of experience in business, marketing, communications and sustainability to the team. Wim Schotsmans is a father, a walker, a nature lover and an avid reader with a passion for good conversation. Professionally he has worked for 10 years in education and 4 years in farming, as well as having guided travel groups off the beaten track. Wim creates a safe space for openness and trust, with room for everyone.